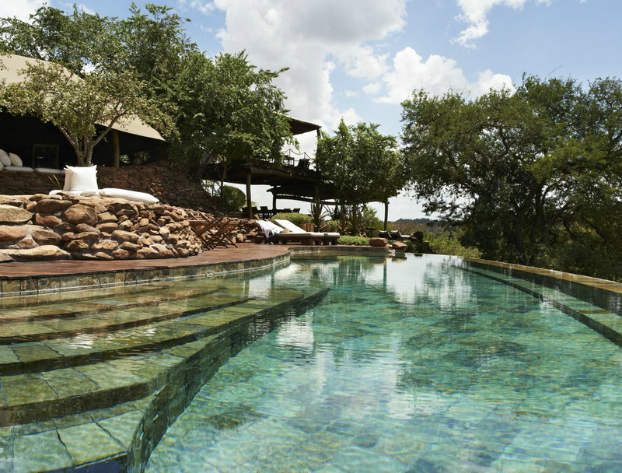 The lodge has been built with changing levels that offer secluded pockets and private corners. 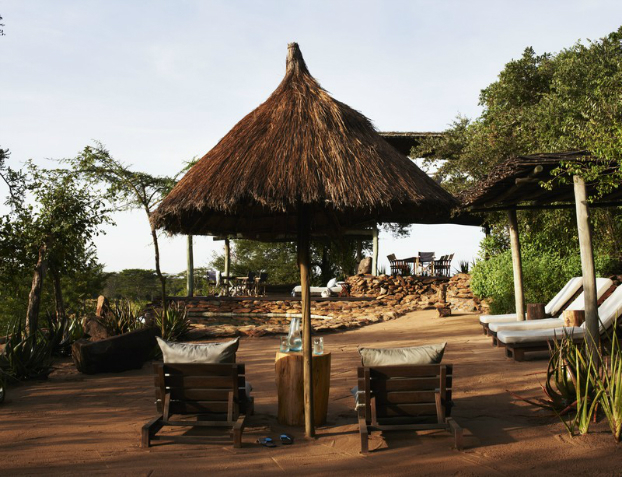 The curved, organic lines of the balau decking follow the contours of the low-level stone walling, which doubles as informal seating with canvas cushions scattered on top to face the bush beyond. 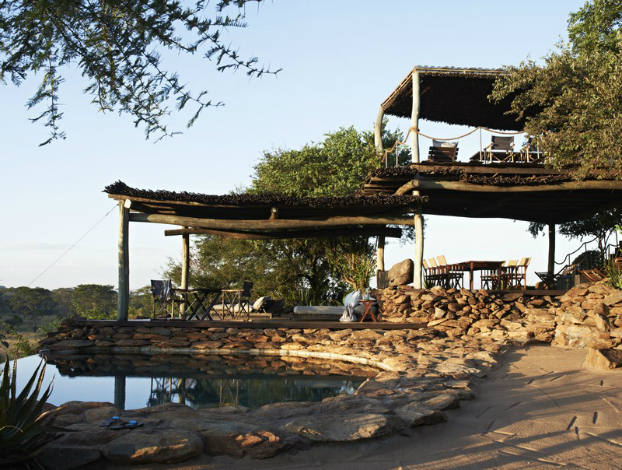 Further along the deck, thick ropes lead up a wooden staircase to the sky ‘sala’, a designer tree house and idyllic sundowner spot where you are level with the birds and baboons. Triangular rattan headrests support oversized pillows to create inviting day beds. Interiors are entirely the creative play of Paul van den Berg and Boyd Ferguson of Cécile & Boyd’s and are an earthy palette of pale sand, stone grey and silver: pewter steel on bleached wood; a silver Somerset Maugham fan above the clay-coloured cement screed floors. This invites a new twist to the friendship between African and urban – local mekaka matting neighbours modern chrome and a wooden vessel carved in the shape of a calabash echoes the contours of the glass boiler flasks used as café containers. The spacious open-plan suites have mirrored screens and personal pinboards that sensitively architect the room into entrance, café, lounge/bed, study, and bath/dressing area. Whitewashed builder’s planks are nailed together to form furniture – the idea is simple; the effect striking. Craft supplies, paper clips, drawing pins and art paper provide the building materials for real stories in the form of paintings, poems and daydream musings of past guests on the pinboards. 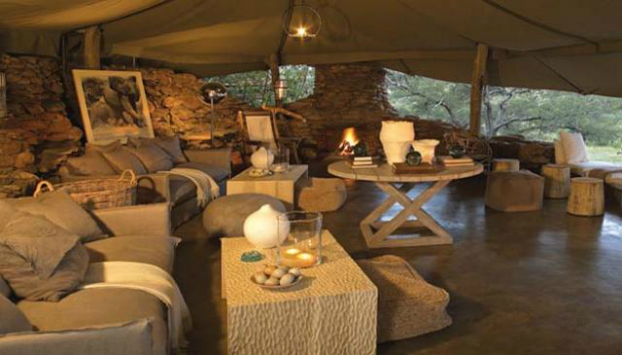 Nothing is too precious or permanent – there is a sense of playfulness, of personality and barefoot indulgence. 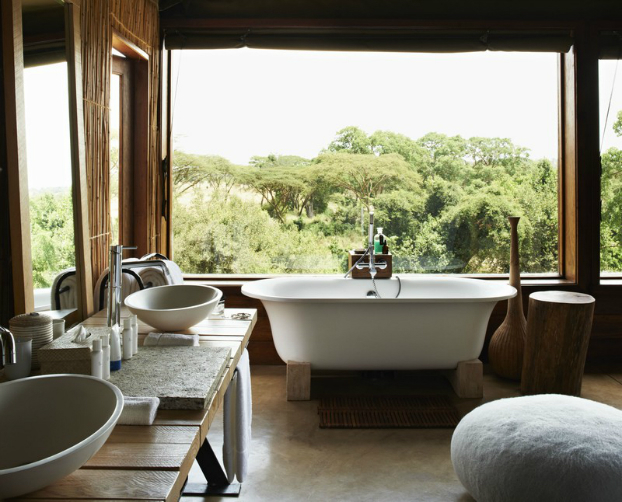 It adds life to the interiors – an increasingly attractive design element to travelers looking for the authentic. 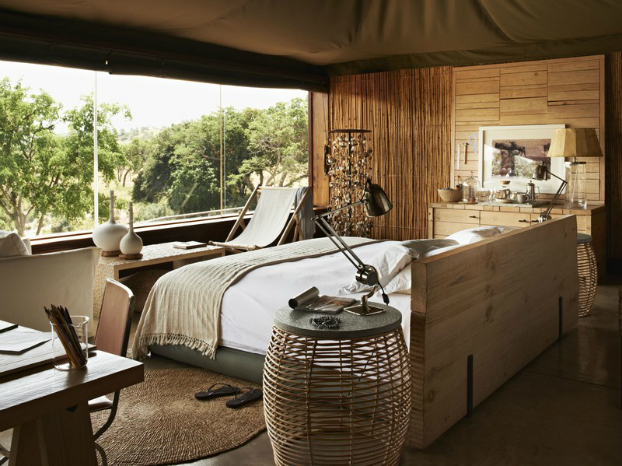 The view from the massive bed is a wall of glass – a film reel of green splendour, gently shifting and moving before me. 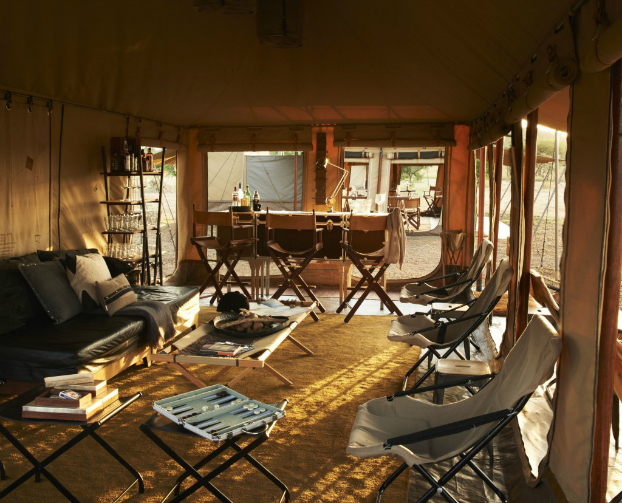 At Faru Faru, ‘room with a view’ mirror-images to ‘view with a room’, as the overarching attraction is undoubtedly the natural beauty of the savannah setting. 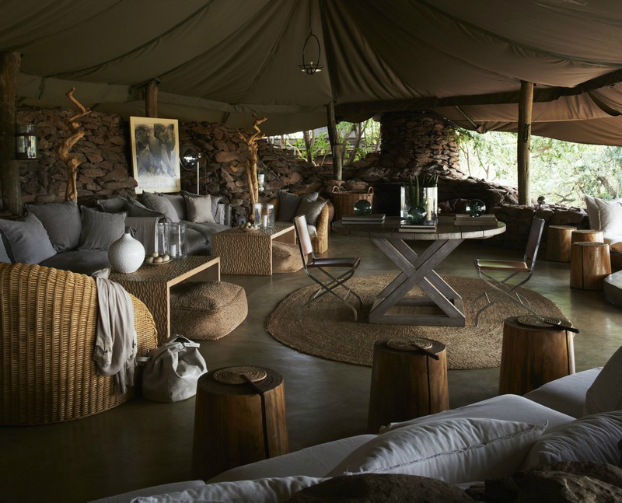 The room itself is an artwork, with a fresh understated African aesthetic, but its obvious aim is to emphasise the surrounding landscape, rather than compete with it. Virtually every position in the lodge where a seat or cushion is placed, has been hand-picked for the uncluttered contemplation it offers.